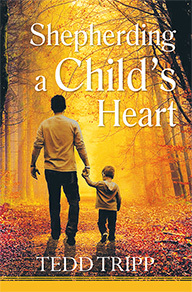 In this revised edition of Shepherding a Child’s Heart, Dr. Tedd Tripp not only draws on his thirty years’ experience as a pastor, counselor, school administrator, and father, but he also shares insights gained in ten years of teaching this material in conferences worldwide, providing more valuable help for parents. Shepherding a Child’s Heart is about how to speak to the heart of your child. The things your child does and says, flows from the heart. Luke 6:45 puts it this way, “...out of the overflow of the heart the mouth speaks.”(niv) Written for parents with children of any age, this insightful book provides perspectives and procedures for shepherding you child’s heart into the paths of life.